Welcome drinks started at the Element head office in Burleigh before the new team ventured to the Precinct Skate Shop for the overall Make It Count decider – who would win the all-expenses paid trip to Barcelona! The lights went out and the invite only crowd watched each finalist’s 1minute video of their best street footage. Trent Fahey, owner of Slam Magazine was there and he could not believe the talent of the next generation. 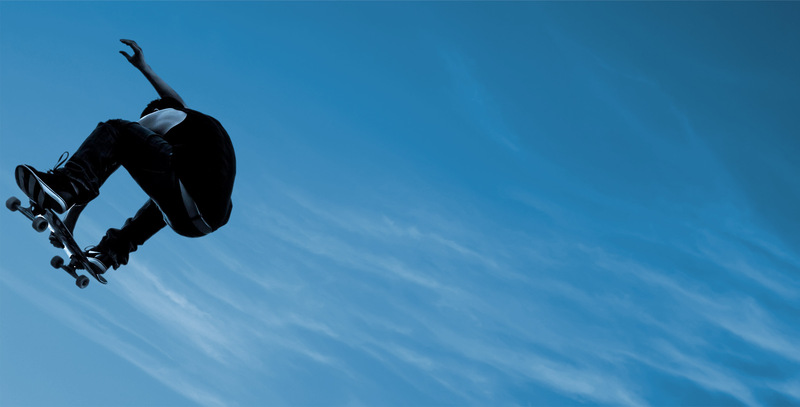 'The overall level of skateboarding in the clips submitted was really impressive. It would've been a tough gig narrowing down the final five' said Trent. Element Pro Dennis Durrant took a moment to write the well-deserved name on the Make It Count winner’s check. Each finalist stood waiting for the announcement with their backs to some of the most iconic decks with the best names in skating. It was time. After 10 weeks of online competition, and over 50 video entries from skaters across Australia and New Zealand, The Element team’s unanimous decision, was Keanu Peina! With a smile from ear to ear, Keanu the 19 year old from Perth won the all-expenses paid trip to Barcelona, Spain to film a street part with the Element Pro team. A trip of a lifetime! He will also receive Element boards for a year, joining the local flow team. 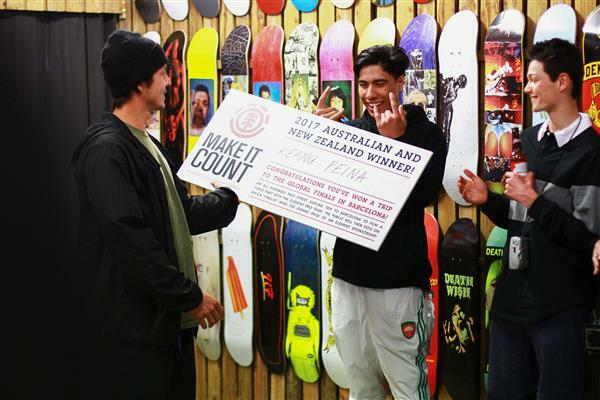 Thank you to Trent Bonham from Precinct Skate Shop for hosting the Element Make It Count finals event. The regional #elementmakeitcount results are now all in! Six street skaters from all over the globe have been chosen to spend a week filming in the streets in September with the @Elementbrand team. YOU, the public, will vote to see who wins Element sponsorship! Congratulations to your 2017 global finalists! Follow Element Make It Count series here.